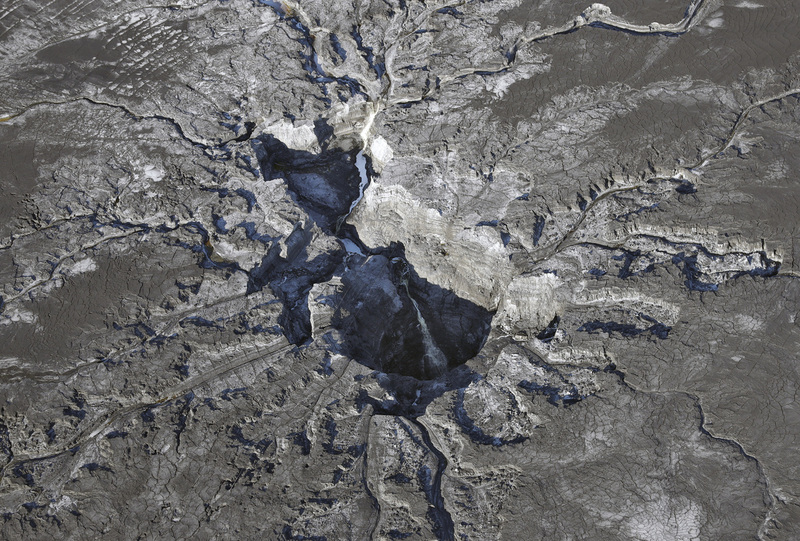 Giant Sinkhole At Florida Plant Leaks Polluted Water Into State Aquifer : The Two-Way A fertilizer company says third-party tests show the water contaminated with low-level radiation has not leaked off the site into nearby wells. Residents are upset they were not informed for weeks. Water continues to flow into a large sinkhole on the Mosaic Co. property shown in this aerial photo on Thursday in Mulberry, Fla.
"It drained millions of gallons of acidic water laced with sulfate and sodium from a pool atop a 120-food gypsum stack. An unknown amount of gypsum, a fertilizer byproduct with low levels of radiation, also fell into the sinkhole, which is believed [to] be at least 300 feet deep." The company says a third-party firm has carried out tests at nine water wells close to the New Wales plant. Those tests, Mosaic said in a statement Wednesday, "have all returned results that are within normal drinking water standards." "These results further verify that there have been no offsite impacts as a result of this incident," according to Mosaic, which produces phosphate and potash used in commercial farming. "Mosaic officials told the state's Department of Environmental Protection about the sinkhole in late August," Sussingham reported. "But nearby residents didn't learn of the accident for several weeks." In response, Florida Gov. Rick Scott issued a new emergency rule earlier this week that requires the Florida Department of Environmental Protection to notify the public within 24 hours of any "pollution incident." In a press release, Scott said that "it does not make sense that the public is not immediately notified when pollution incidents occur." As WUSF explains, "current law required that the public be notified only when the polluted water moved off-site, which it had not done." Mosaic said that in addition to the tests on nine wells near the plant, tests on more than 100 wells showed normal results and that it "has received 690 well water tests requests." The company estimates it will cost $50 million to clean up the sinkhole mess, Sussingham reported. She added that "Mosaic officials say the aquifer is slow-moving, and they are pumping out the contaminated water." Mosaic is also offering free bottled water on request to area residents until testing is complete. 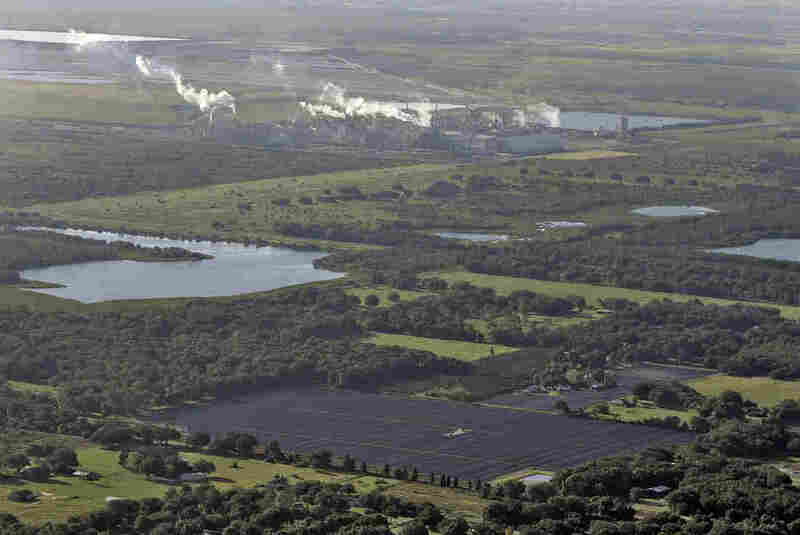 Environmental advocates are concerned about the potential impact on the aquifer. As Earthjustice's Tania Galloni said in a statement, "these phosphate companies are playing roulette with our public waters."